I always enjoy looking at handicrafts which my kids made when they were small. 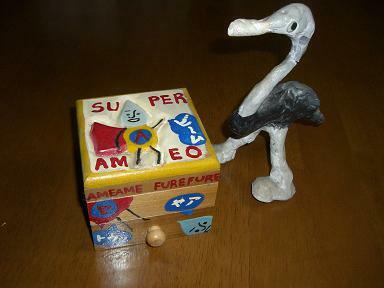 The photo below left is a wooden box with a drawer and on the right is a papier-mache ostrich. I may be prejudiced in favor of my kids, but I think they were good at handcrafting.